Colleen began her club career with Dallas Sting '88 and spent her final two years with the Dallas Texans '88. They went on to win the 2006 USYSA National Championship, while Colleen was given the Golden Glove award. She also played four years at Ursuline Academy of Dallas, winning four consecutive TAPPS State Championships from 2003-2006 while being named all-State three times. She went on to play goalkeeper at Texas Tech University from 2006-2010. She helped the Lady Raiders make two Big 12 Tournament appearance, was named Big 12 Defensive Player of the Week while receving several Commissioner's Honor Rolls. Upon graduation, Colleen became the Assistant Coach and Goalkeeper Coach at West Texas A&M University. During her first season with the Lady Buffs, Colleen helped lead WT to a Lone Star Conference Regular Season and Tournament Championship with a 13-7-1 record as well as the program's ninth appearance in the NCAA Tournament.The following year the Lady Buffs made a trip to the LSC Tournament Finals, falling short in penalty kicks. 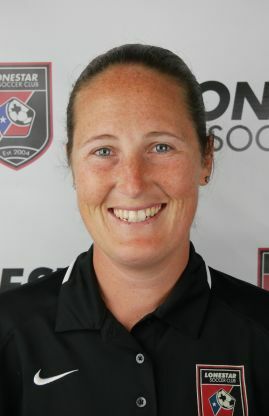 She has worked with local clubs in the Amarillo area, Amarillo Lightning and High Plains Drifters, and helped the Palo Duro Soccer Association.